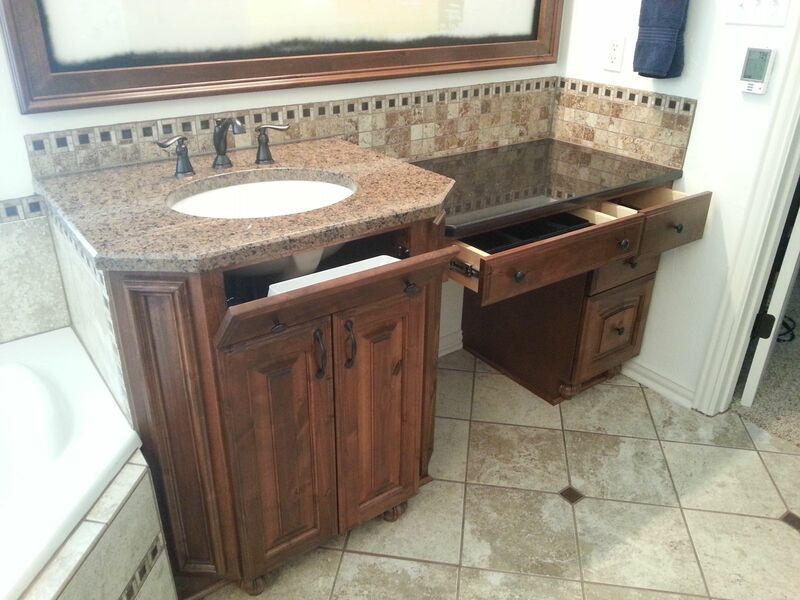 This was a full Master Bath Remodel with custom, furniture grade cabinetry provided, prefinished and installed. 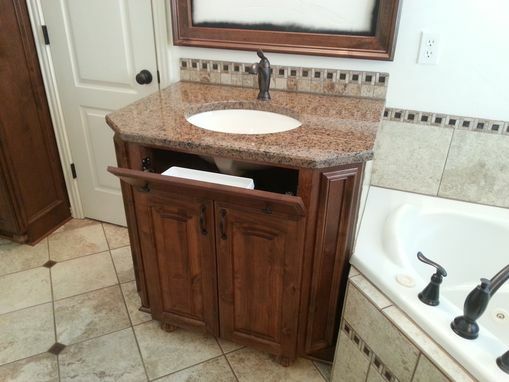 Cabinets were made from solid and veneered knotty alder. We used a dark Brazilian Walnut stain, with a cat. lacquer top coat. Tops were a mix of chocolates and blacks 2 and 3 cm granite. This was a Contemporary/ Traditional design, utilizing European Designed Hardware. Frames were custom made to match the cabs.